We have been to over 200 Weddings and with over 4 years we have visited all your favourite venues, worked with the best celebrants in the business and catered for all our couple’s requests – big or small. We work closely with you to ensure all your ideas and inspirations become our own and take care of every aspect of your wedding, inspiring you along the way. With our extensive experience and industry background we will take care of every request with ease to ensure your vision is achieved. 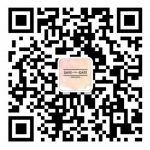 For all questions and enquiries, please contact us below or email us at info@savethedateweddings.net.au, also you can reach us by 0415 829 088 or scan the QR code to add me on Wechat.